With the entrance to this Puerto Vallarta neighborhood marked by a large whale sculpture of a mother and baby whale, and by the huge statue of the Roman god Neptune (the god of freshwater and the sea) holding a trident atop Neptuno Plaza shopping center, Marina Vallarta is located at the northern edge of the city of Puerto Vallarta, just 5 minutes from the airport, 10-15 minutes from downtown PV, and 18 minutes from Nuevo Vallarta. A 544-acre planned upscale resort and residential development of Puerto Vallarta, the enclave of Marina Vallarta boasts a 450-slip marina with slips ranging from 30-140 feet in length. 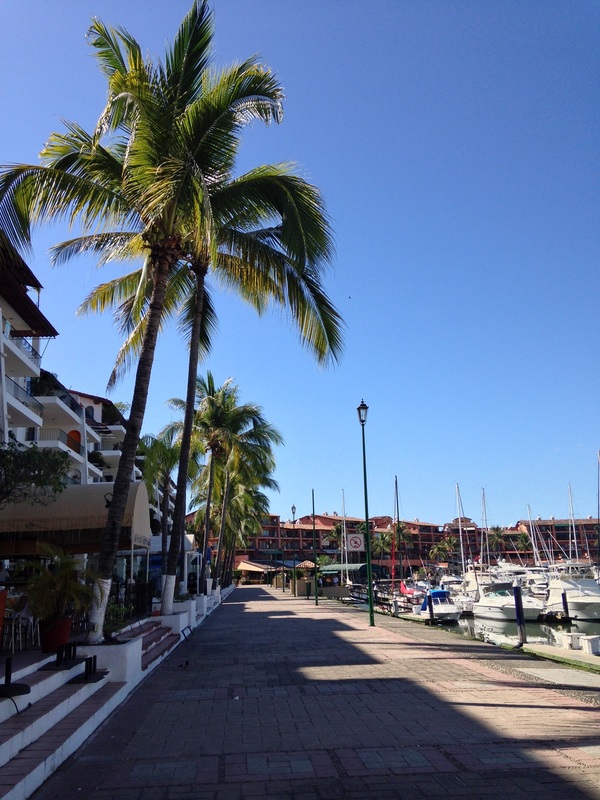 The marina has a lovely promenade, many impressive yachts, sailboats, charter boats, and a variety of water craft owned by various Puerto Vallarta tour operators. The marina’s long well-paved boardwalk area is a great place to take a morning or afternoon stroll; visitors can enjoy seeing all the various yachts, sailboats, and charter boats that are docked there, and the famous El Faro Lighthouse that has a nice bar/lounge at the top with incredible panoramic views that are particularly stunning at sunset. Enjoy a great meal or Happy Hour drinks at one of the numerous restaurants that line the marina’s long promenade or boardwalk. Explore all the various shops and boutiques that carry unique items, or indulge yourself with an afternoon spa day starting with a relaxing massage and ending with a mani/pedi beauty treatment at one of the salons. Along this promenade there are often strolling Mariachi or other friendly musicians ready to entertain visitors by playing music for a tip. Tipping recommendations for this tourist community are available on the page Tipping Guidelines. 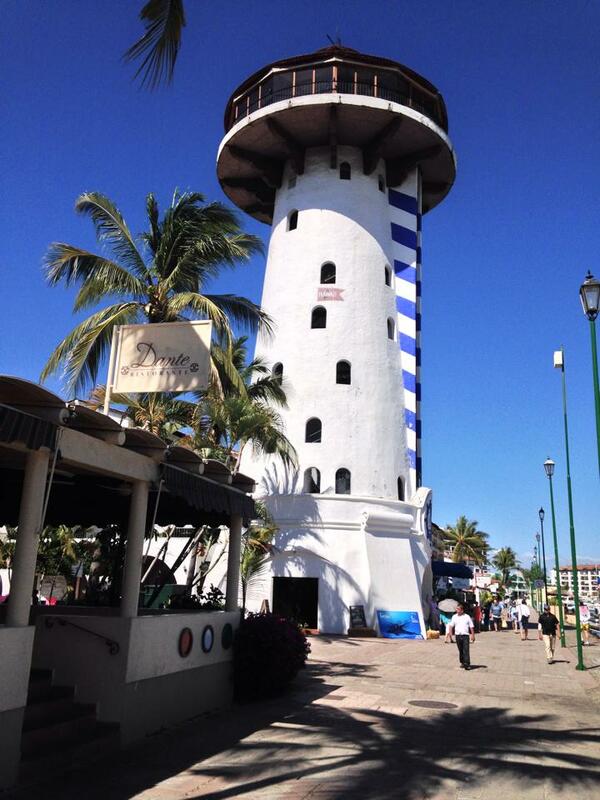 El Faro Lighthouse, Marina Vallarta. Marina Vallarta is not to be confused with the Maritime Terminal where the cruise ships dock. The Puerto Vallarta Maritime Terminal is located several minutes south of the Marina Vallarta neighborhood across from the Galerias Vallarta Mall and the Walmart/Sams Club complex. 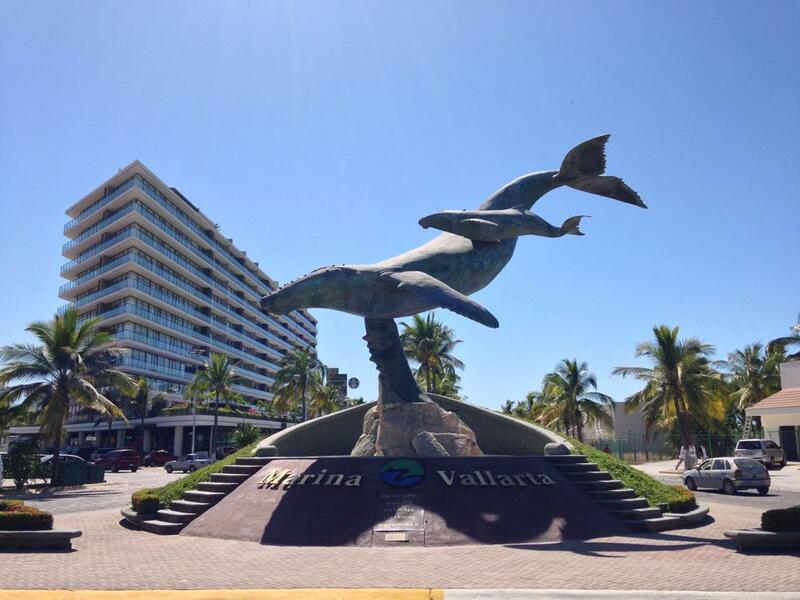 Public access to the beach areas of Marina Vallarta is limited to one access point near the airport. Those having best access to the beach areas of Marina Vallarta are residents and guests of the beachfront condo complexes and resorts. Parking in the area is also limited, especially around the marina’s restaurants and shops. Inside the Plaza Marina shopping center. Marina Vallarta is an exclusive zone, or town within a town. It boasts Marina Vallarta Club de Golf, an 18-hole championship golf course designed by Joe Finger with lush green gardens and natural lagoons that have alligators, herons, sea geese and iguanas. Marina Vallarta also has tennis facilities, a nightclub, a bowling alley, an American school, a tiny pink post office, a beautiful church, and Plaza Marina which is a large commercial shopping complex. Plaza Marina is anchored by the giant supermarket Mega and McDonalds. Within Plaza Marina there are hair salons, a rotisserie chicken kiosk (delicious to-go meals), dental offices, legal offices, banks and/or ATM machines, and a small variety of other businesses. Of note is that the lovely interior section of this complex has a very large number of empty and available retail spaces waiting to be filled. 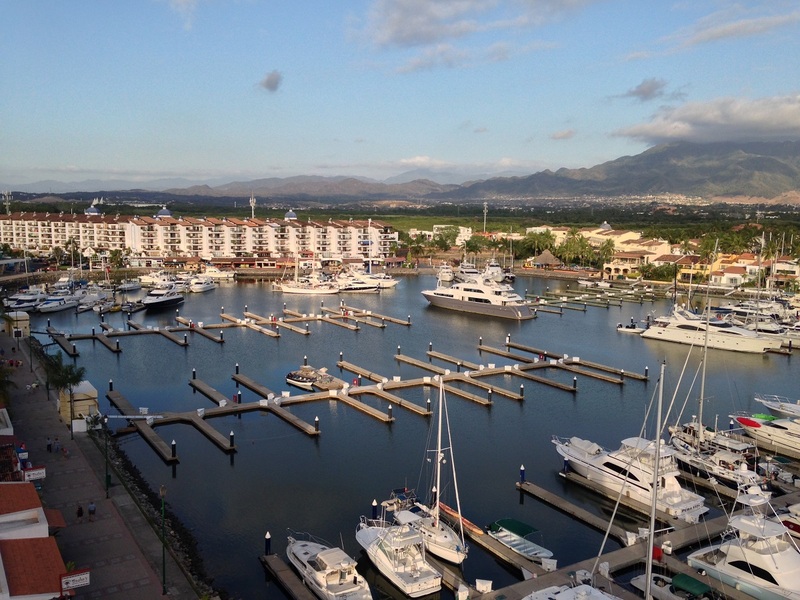 Additional amenities within Marina Vallarta include Plaza Neptuno shopping mall, many large condominium complexes, private homes with modern/tropical architecture, and several 5-star hotels. Resorts include the Mayan Palace Puerto Vallarta, Melia Puerto Vallarta, Flamingo Vallarta Hotel, Westin Resort & Spa, Marriott Casa Magna Puerto Vallarta, Vamar Vallarta, Velas Vallarta Suites Resort, Casa Velas Boutique Hotel, and more. Along its boardwalk there are cafes, a Starbucks, top-notch restaurants, bars, gift shops, two OXXO convenience stores, a bakery, a bike shop, and several art galleries. Vallarta Adventures, a top-notch tour company, has an office in Marina Vallarta. On Another wonderful new addition to Marina Vallarta is an important work of art that is currently being installed along the length of a long stretch of wall on Paseo de Bocanegra. This gorgeous, colorful masterpiece is a unique mosaic art creation by Natasha Moraga and her team of volunteers, and is the second installment of her artwork in the city of Puerto Vallarta. The first installment is located in the Romantic Zone on Pino Suarez and Basilio Badillo. 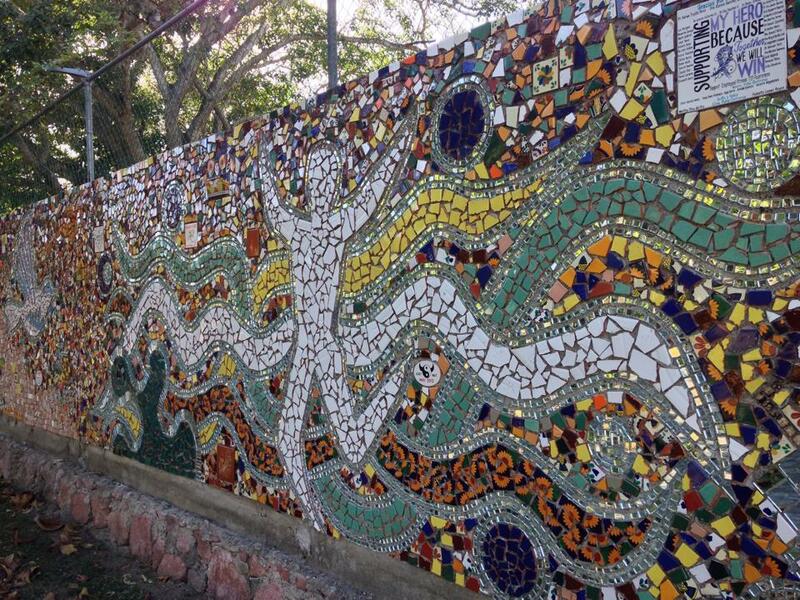 While this wall is still in development (2014), donations can be made to fund the project by purchasing a wall tile, or donors can choose to help fund a future mosaic wall by Natasha in another section of Puerto Vallarta. On Thursday evenings during high season (November through April), there is a wonderful farmer’s market along the Marina Vallarta Promenade, or boardwalk of the marina, from 5 p.m. to 9 p.m. The farmers market, a more recent addition to the activities available in Marina Vallarta, consists of several vendor booths selling organic homemade foods, colorful artisan crafts, jewelry, purses, pottery, decorative items for the home, jams, nuts and other wonderful surprises, and includes great live music and often dancing. A short section of the long Marina Vallarta Promenade in Puerto Vallarta, Mexico. 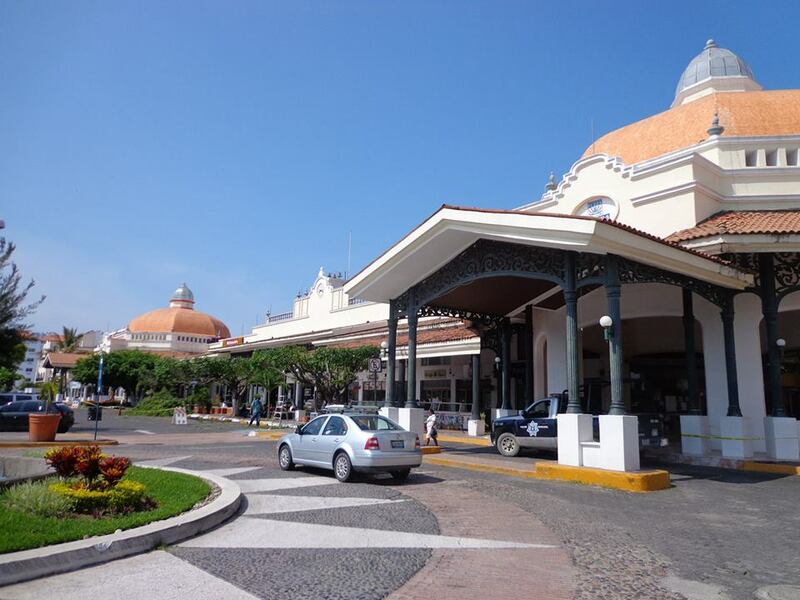 Not far from the neighborhood of Marina Vallarta, about a 5-minute taxi ride, is the beautiful Galerias Vallarta Shopping Mall which is anchored by the large department store Liverpool, and has one of Puerto Vallarta’s state-of-the-art movie theaters. Galerias Vallarta Shopping Mall is right next to (just north of) the Walmart/Sam’s Club complex. 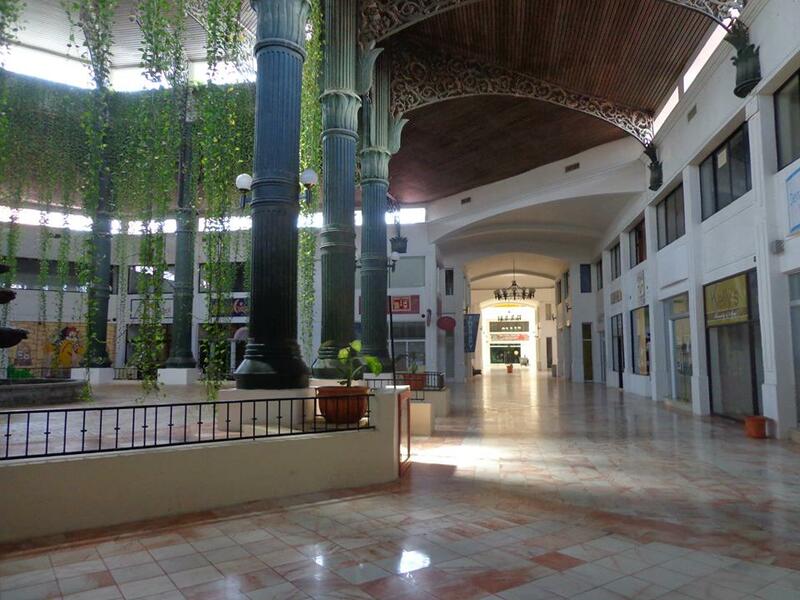 If your vacation time allows, or if it’s hot outside and you’d like to escape to an air-conditioned environment, it’s worth taking the time to visit the lovely and modern Galerias Vallarta Shopping Mall.